Uncommon Envelope: Unsolicited Blog Feature! 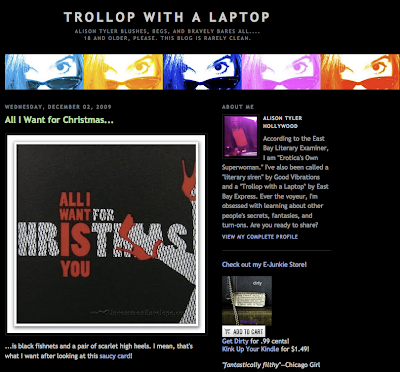 The Trollop with a Laptop blog caught wind of our naughty XXXmas Cards and featured it in a piece she wrote about some Holiday gifts. I had a feeling that being a nice girl never gets you anywhere fast!